Do you like playing PUBG and chasing chicken dinner? Amazed and really fans with PUBG and really applaud Tencent as the publisher of this game? Curious about Tencent having cool games especially? Tencent is indeed one of the biggest game publishers and developers in the world today. The success of Tencent brings the PC version of PUBG, PUBG Mobile, PUBG Lite to PUBG x Resident Evil 2, making Tencent's name increasingly recognized by game lovers. Well, actually Tencent also has several other games that are no less exciting than PUBG, in fact, some of them are played by many people. Are you curious about what games other than PUBG were released by Tencent? Or did you even play the game but didn't realize it? Happy reading guys! Hopefully there is a game that suits you to play! Must be bored when playing PUBG continuously. If you think that PUBG is the only Tencent game that is the most exciting to play at this time, you are a bit wrong. The reason is, there are also games other than PUBG issued by Tencent that you can play on PC or Mobile. Guaranteed these games will be really exciting if you try to play! 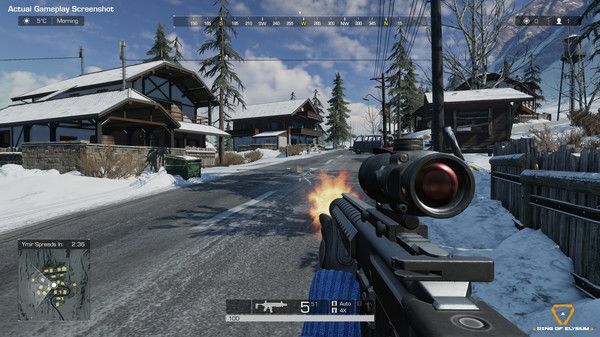 Ring of Elysium is a free-to-play online multiplayer game in the form of a battle royale developed by Tencent. The Ring of Elysium is published by Tencent and Garena worldwide. In North America and some Asian countries, you can play this game on Steam. For whatever reason, this game is not so salable and famous in the market. This game itself was released at the end of the third quarter in 2018. This game has entered the second season and is being made a spin-off of this game which is named Europa. Graphically and gameplay doesn't need to be doubted. The graphics of this game are truly stunning and very real. Even you can see shadows, swaying grass, gusts of wind that make the tree sway, to the color of water that is very like the original. Are you familiar with this online PC game? Yes, because this game is not published globally and is only marketed for the Chinese market. 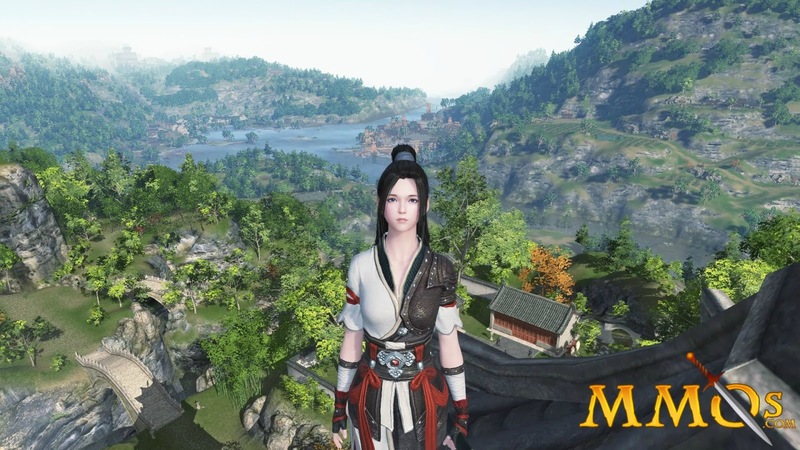 Until now there is no clarity whether Tencent will release this game in the global version. Moonlight Blade itself is an MMORPG game that has a background story about the Chinese empire in the past. In this game there are 8 different clans that you can choose. You will feel a little sensation of playing RPG games here too. 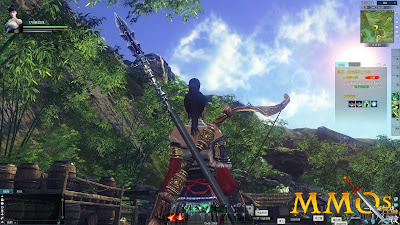 Like other MMORPG games, you can get various items and skills when you can complete quests, fight bosses and do all the missions given in this game to completion. Are you interested in playing this game? Maybe you can use VPN to play this game. According to Rildem, Moonlight Blade's gameplay is quite interesting to play because there are many game modes to choose from. Plus, the map in this game is very broad. Do you know that this game is one game that is not on the Play Store? It is not blocked because it contains pornographic elements or anything, but indeed this game can only be played in China there. 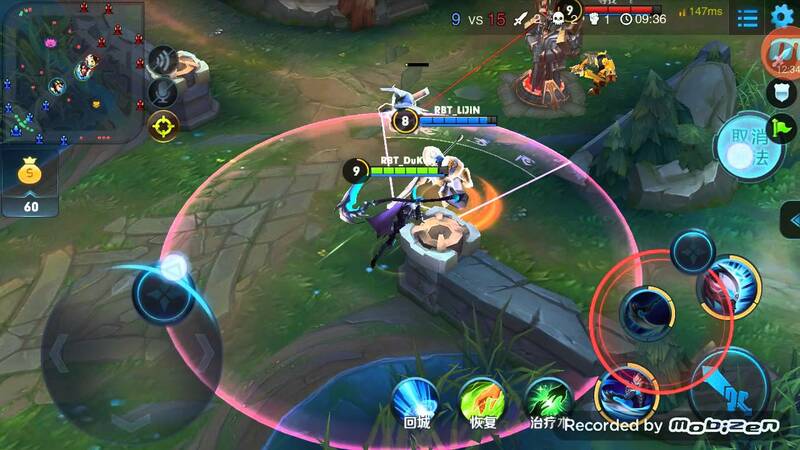 This Android MOBA game is the most popular in China there. 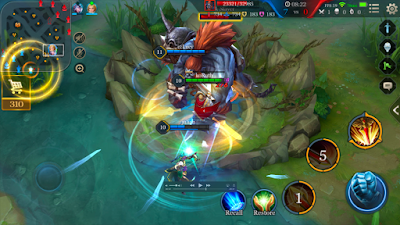 This game was released around November 2015 and is the result of collaboration between Tencent and Riot. This game also confirmed itself as one of the most played games by Chinese citizens. Already more than 200 million people play this game and a daily average of 80 million players. This King of Glory already has more than 80 heroes to play. Moreover, King of Glory has the type of game like other MOBA games such as 5vs5, 3vs3, 1vs1, Rank system, etc. Oh yeah, the advantage of this game is the ability that can be played with a frame rate of 60 FPS. Amazingly, this game can be played with only 1GB of RAM! Even though, the recommended minimum RAM for playing this game is 2GB. Good choice of MOBA games besides Mobile Legends! PUBG is the best battle royale game produced by Tencent and is one of the most popular games now, so CrossFire also has its own historical record. 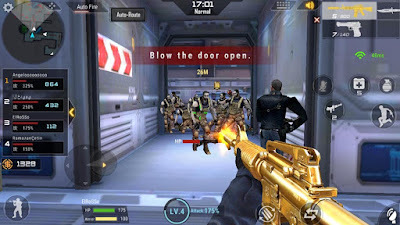 Cross Fire is called one of the best FPS games on Android that you can play now. In gameplay, Crossfire is also very interesting because it has Mutant Kill, TDM and BR Mode modes that are very fun to play. CrossFire has actually been present in the PC version and has got many loyal fans playing this game. Now, to meet the demands of game lovers, then there is the Android version of CrossFire. Surely you are already very familiar with this one MOBA game? AOV itself in the country of Indonesia was brought by Garena, who even made a special server in Indonesia to make this game more smoothly played. Actually this game is the result of the development of King of Glory which exploded in China. To further expand Tencent's power as the king of world games, AOV was finally made and released in many countries including Indonesia. Many people often misunderstand or accuse Mobile Legends of plagiarism games that mimic AOV or League of Legend (LOL). Actually this is quite complex to explain. LOL was indeed created by RIOT. Until finally Tencent bought RIOT and acquired the company while taking all patents from RIOT. Well, Tencent sold LOL games to other game makers like Moonton who later made Mobile Legends and Heroes Evolved games held by R2 Games. Do you know how much Tencent is as the King of Gaming Companies? Aside from acquiring RIOT Games, actually Tencent also holds a large enough stake in SUPERCELL and few shares in Activision Blizzard and Epic Games. This is the discussion of Rildem about Tencent games other than PUBG which is no less exciting than PUBG. Actually there are many other facts about the giant Tencent game company. If you are interested, Rildem will make a special article for this. 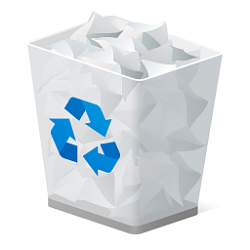 Guaranteed you will be surprised by the fact of this company! Please share and comment on this article to continue to get information, tips & tricks and news about technology.